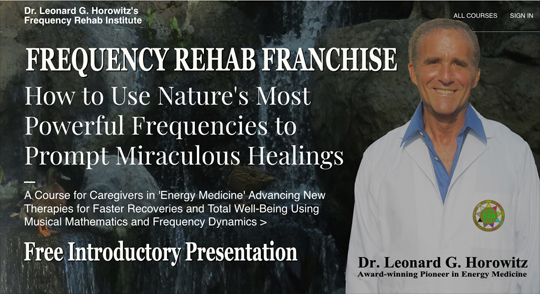 Video Instructional, Step by Step Plans Show You How to Build Your Own BioEnergy Wand Technology Pioneered by Award-winning Health Science Expert, Dr. Leonard G. Horowitz. Learn from Energy Medicine pioneer and Frequency Therapy expert, Dr. Leonard G. Horowitz, who studied Nikola Tesla and Royal Rife's brilliant works to advance this most wonderful natural healing and care-giving technology bio-energetically reducing, often eliminating, common aches and pains while balancing chakras and rehabilitating the flow of energy through acupuncture meridians. This breakthrough in healing technology design and manufacture leverages your own body's bio-field (i.e., aura). This natural energy is supplemented by powerful magnetic fields generated by the instrument. Together, you deliver positive healing intentions (resonating from your heart) driving the precise remedies needed by the ailing person. The BioEnergy Wand's handle (made of pure electro-conductive copper) permits remedies (such as homeopathic nosodes or gemstone elemental frequencies) to be delivered into the bio-field of the recipient, into the chakra energy vortexes, and down through the skin, to restore the natural energy being blocked or imbalanced. This naturally prompts speedy recoveries from a variety of ailments. You can purchase one BioEnergy Wand from this store for only $1500. It is a 'custom order' and will take 4-6 weeks for delivery. Or you can make many of them yourself by following Dr. Horowitz's easy-to-follow instructions for Only $1200 (plus a couple hundred more for a few components Dr. Horowitz references as resources). This commercially-valuable product is not hard to make, but it's best made with a bit of artistic creativity. If you are motivated, a little technically-minded, and mildly handy with a few common tools, and want to start a business producing these wonderful instruments, this is a GREAT investment. 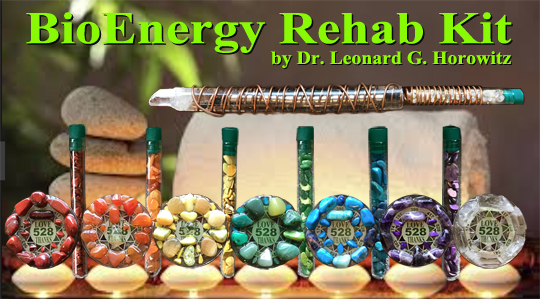 Dr. Horowitz's video instructions will guide you and enable you to not only produce these BioEnergy Wands for yourself, your family, and community, but also for specialty stores, clinics and caregivers. Entrepreneurial manufacturers can outreach to health professionals to sell and spread this equipment that people and healers will love. This is a great opportunity. 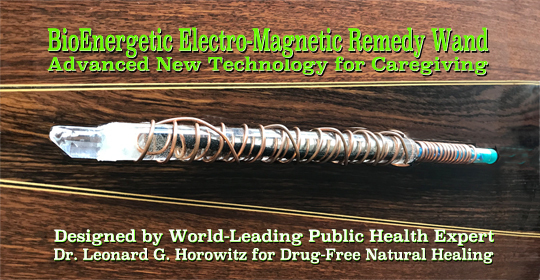 Use your artistic imagination to produce beautiful modifications from Dr. Horowitz's basic design to help spread this needed technology and know-how that helps people heal naturally, without dangerous and damaging drugs. Simply watch this instructional video and/or read the supplemental downloadable pdf guide material. If you are moderately "handy" with tools and can following simple directions you will succeed. Your purchase and constructed product made to Dr. Horowitz's specs enables you to sell your BioEnergy Wands under a 'win-win' agreement in which you can advertise Dr. Horowitz's contribution to your equipment design and salable line, and reciprocate with only a 'tithe' of 10% of your sales to Dr. Horowitz's non-profit company. If you go into business with this valuable equipment, or think you might, you will sign a contract with Dr. Horowitz to use his patent-pending design to enable further research and developments in this beneficial field. Your 10% royalty will go to help the non-profit (tax deductible) Medical Veritas educational company advance additional natural health education know-how through publications such as this valuable instructional video. Invest Only $1,200 to start manufacturing your BioEnergy Wand(s) today! Click the button below to add the How to Manufacture BioEnergy Wand Technology by Dr. Leonard G. Horowitz to your wish list.